The presentation files are available at Schedule & Scientific Program. For the proceeding information, please visit the proceeding page. In the last decade, a great deal of advances have been made in the field of First Stars. So far, three international conferences have been held as a series of First Stars meetings every four years (Garching in 1999, Pennsylvania in 2003, and Santa Fe in 2007). These meetings were quite fruitful, where not only theoretical and observational but also synergistic advances have been made. Now, the study on first stars is getting mature and progressing further in extended fields. 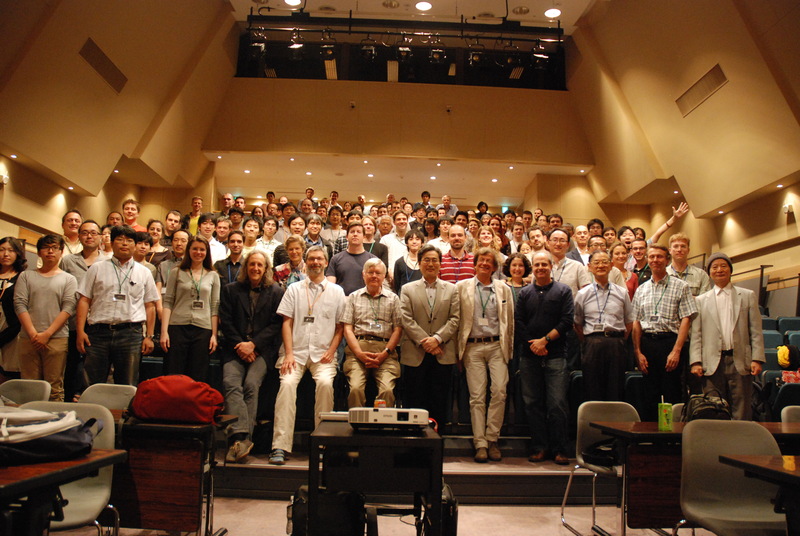 We are organizing a fourth First Stars meeting (First Stars IV), which will be held on May 21-25, 2012, in Kyoto. This meeting will be held partially as a memorial conference for Professor Hayashi (1920-2010), in honor of his invaluable contributions to the study of star formation and cosmology. The First Stars IV meeting is aimed at discussing star formation through cosmic time and the impacts of first stars on galaxy formation, first explosions, cosmic reionization, and formation of massive black holes. In the meeting, by summarizing the advances in the past comprehensively, future issues will be addressed from wide points of view. Topics covered are listed below. Young researchers and students are especially encouraged to attend. No city in Japan is more befitting for this conference than Kyoto, the country's ancient capital for more than a millennium, renowned for its many beautiful temples, shrines and palaces harmoniously set into natural environments, as well as its ancient festivals and culinary delights. Late May is the begining of summer with a warm climate before the rainy season. It will be nice to enjoy fresh green of the mountain range and temples/shrines.